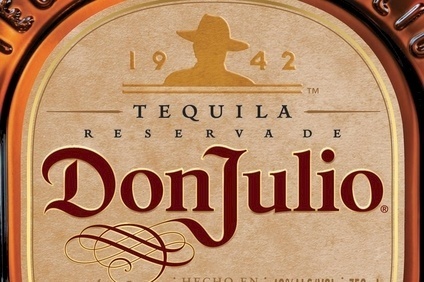 The CFO of Diageo has defended the company's decision to sell the Bushmills Irish whiskey brand in return for Tequila Don Julio, claiming that the acquiror, Casa Cuervo, was keen to up its presence in international spirits. Yesterday morning, the UK-headquartered company announced that it is swapping Bushmills for full ownership of Don Julio, in which Cuervo and Diageo hold a 50% stake each. The firm will also receive US$408m from Cuervo as part of the transaction. The deal marks Diageo's full exit from the Irish whiskey category. Speaking exclusively to just-drinks, however, Deirdre Mahlan argued that category presence is less important to Diageo than pursuing longer-term growth. “In every transaction, there's always a question of what both parties are trying to achieve,” Mahlan told just-drinks. “We've been in a long-standing relationship with the Beckmann family (who own Casa Cuervo), and our strategies have both evolved over that time. As we went through and came out the other side, it was clear what we were both pursuing. Mahlan highlighted that having a presence in every spirits category is not Diageo's strategy. “You have to look at all your brands in the round,” she said. “We do have to look not just at Irish but at whisk(e)y in general and where we think we're going to get the best growth opportunities. Mahlan conceded that Diageo's presence in the Bourbon category represented a portfolio gap, but only “in the sense that we don't have a scale Bourbon”. Diageo's deal with Cuervo is set to complete early next year.